Astronauts may have difficulty adhering to exercise regimens at vigorous intensity levels during long space missions. Keeping up with exercise prescriptions is important for aerobic and musculoskeletal health during space missions and afterwards. A key impediment to maintaining intense levels of exercise is motivation. However, finding ways to motivate astronauts to be physically active at the levels necessary to lessen the effects of bone and muscle loss and aerobic capacity has not been explored. Typically individuals become bored with training regimens over time or find them less enjoyable if they do not have strategies to maintain their motivation. Although traditional group exercise leads to higher exercise adherence than individual exercise programs, structured group exercise programs are not possible for astronauts during space missions. Moreover, prior models of group exercise have rarely if ever introduced any real interdependence between exercisers, which have been shown to be powerful motivators for continued effort. 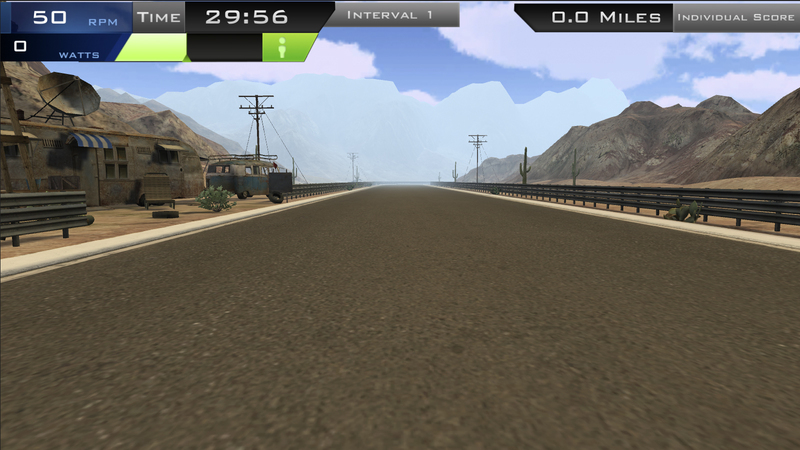 Exercise video games have been marketed as a way to increase people’s motivation and enjoyment to exercise by being entertaining, engaging and providing a means by which to interact with other players. Although many exercise games involve competition among players, few take advantage of group dynamics to motivate play and, there has been little attempt to analyze what game features and interpersonal interactions would best motivate users to continue exercising with these games. Train Like An Astronaut is a game, developed by the Games for Entertainment and Learning Lab at Michigan State University, through a grant from NASA, that is designed to determine whether recently documented motivation gains in task groups (dyads in particular) can be harnessed to improve motivation in interactive exercise games using virtual, software-generated (SG) partners. Exercising with an SG partner offers a number of advantages (e.g., availability, flexibility, autonomy) over a live human partner. 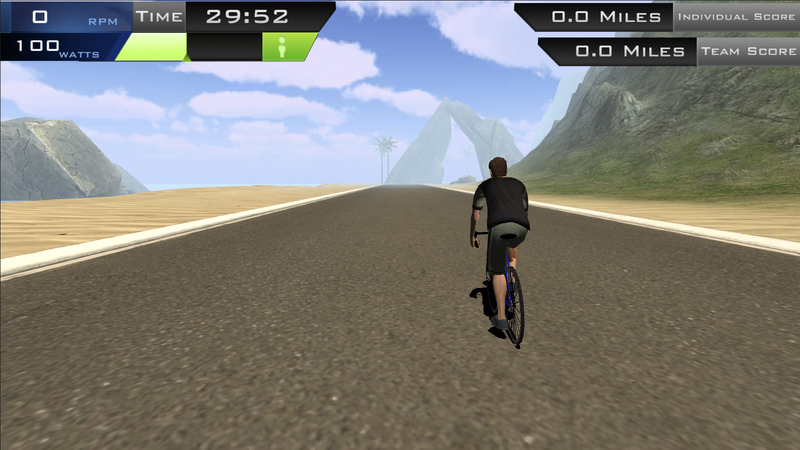 The game allows players to bike (via a stationary bicycle that acts as a game controller) on various tracks, accompanied by a software-generated partner. The goal of the game is to test whether exercising over an extended time period with an SG partner, compared to exercising alone, results in better aerobic capacity and muscle strength, adherence to the exercise regimen, and enhanced enjoyment in the activity, maintenance efficacy beliefs, and sense of social connectedness. As part of the Train Like an Astronaut project, our team experimented with the concept of creating a more game-like experience and exploring new virtual reality technology (Oculus Rift). The goal of the experiment was to build a proof-of-concept motivational exercise activity that was more game-focused in order to create a more enjoyable experience that motivated players to exercise. The Train Like An Astronaut game has been exhibited, presented about, and is the subject of scholarly research publications. Winn, B., Jeffery, W., Durand-Hollis, X., Kozma, G., Ward, D., Pivarnik, J., Kerr, N., Ede, A., Samendinger, S., Ploutz-Snyder, L. Feltz, D. Train Like AN Astronaut. Exhibited at the International Academic Conference on Meaningful Play, October 2014, East Lansing, MI. Hill, C.R., Ede, A., Samendinger, S., Winn, B., Pivarnik, J.M., Ploutz-Synder, L., Feltz, D.L. (June 2016). Can a Virtual Partner be a Real Teammate? 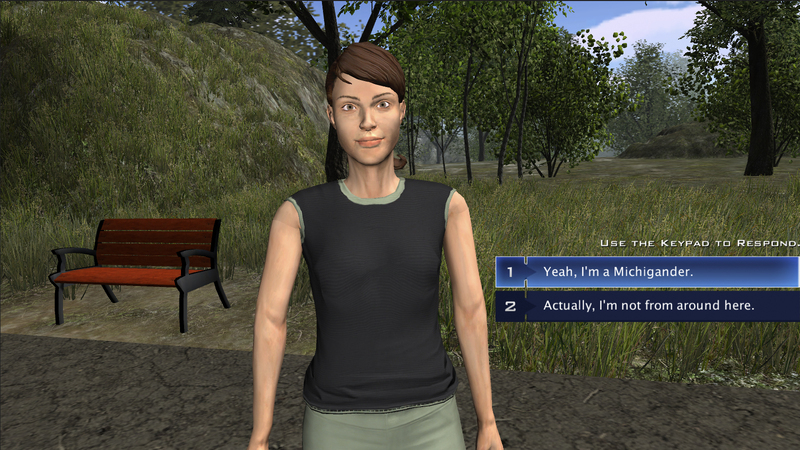 Group and Team Perceptions in an Exergame Intervention. Presentation at North American Society for the Psychology of Sport and Physical Activity Conference, Montreal, Quebec, Canada. Journal of Sport and Exercise Psychology, 38. Samendinger, S., Ede, A., Hill, C.R., Winn, B., Pivarnik, J.M. Kerr, N.L., Max, E.J., Ploutz-Synder, L., Feltz, D.L. (June 2016). Cyber Partners for Long-Term Space Missions: Boosting Motivation to Maintain Intense Exercise. Presentation at North American Society for the Psychology of Sport and Physical Activity Conference, Montreal, Quebec, Canada. Journal of Sport and Exercise Psychology, 38. Feltz, D.L., Ede, A., Winn, B., Samendinger, S., Jeffery, W., Lawrence, F., Pivarnik, J.M., & Ploutz-Snyder, L. (2016, February). 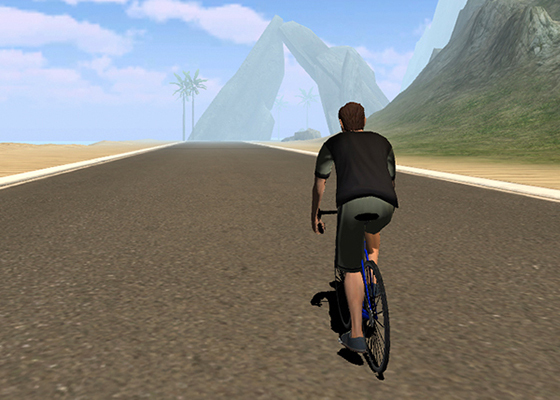 Cyber partners in Exergames: Boosting Motivation to Maintain Intense Exercise. NASA Human Research Program Investigator’s Workshop, Galveston, TX. HRP Abstracts. Ede, A., Hill, C.R., Winn, B., Pivarnik, J.M., Kerr, N.L., Jeffery, W., Deere, S.J., Spencer, B.D., Plout-Snyder, L., & Feltz, D.L. (2015). Cyber partners for astronauts: Boosting motivation to exercise harder with exergames. Journal of Sport and Exercise Psychology, 37, S111. Max, E.J., Samendinger, S., Spencer, B.D., Winn, B., Kozma, G., Jeffery, W., Kerr, N.L., Pfeiffer, K.A., Forlenza, S.T., & Feltz, D.L. (2015). Examining the Koehler motivation effect with software-generated partners in repeated sessions of aerobic exercise. Journal of Sport and Exercise Psychology, 37, S128. Samendinger, S., Hill, C.R., Winn, B., Ede, A.., Kerr, N.L., Pivarnik, J.M. Ploutz-Snyder, L. & Feltz, D.L. (2016, October). Attitudes toward software-generated exercise partners during high-intensity training. International Conference on Meaningful Play, East Lansing, MI. Feltz, D.L., Ede, A., Winn, B., Pivarnik, J.M., Kerr, N.L., Jeffery, W., Deere, S., Samendinger, S., Max, E.J., Hill, C.R., & Ploutz-Synder, L. (2015, January). 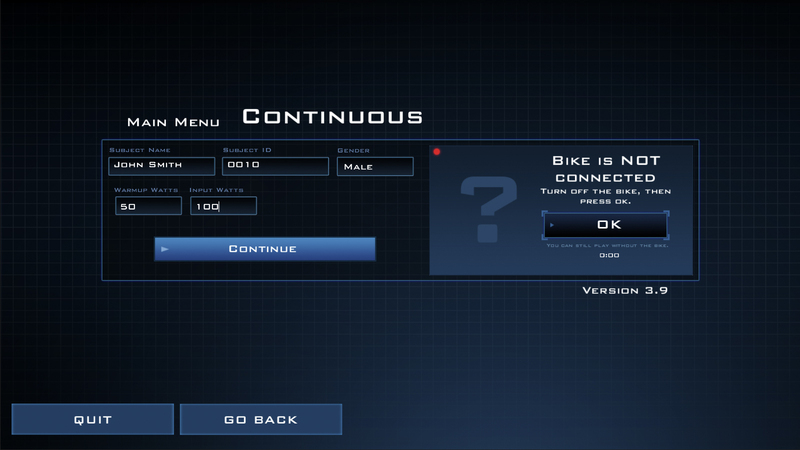 Cyber partners in Exergames: Boosting Motivation to Exercise Harder. NASA Human Research Program Investigator’s Workshop, Galveston, TX. Feltz, D.L., Winn, B., Pivarnik, J.M., Kerr, N.L., Ede, A., Danbert. S., Samendinger, S., Forlenza, S.T. & Max, E.J. (2014, February). Cyber partners: harnessing group dynamics to boost motivation for more efficient exercise. NASA Human Research Program Investigator’s Workshop, Galveston, TX, http://www.hou.usra.edu/meetings/hrp2014/pdf/3010.pdf PUBLISHED ABSTRACT.